Mangaluru, May 14, 2015: As per reports, Mangalore University Vice Chancellor Prof K Byrappa said that MU - Mangalore University, plans to adopt few villages for carrying out studies and guiding development. Select villages in the jurisdiction of Mangalore University in Dakshina Kannada, Udupi and Kodagu districts will be identified. Final semester students will be asked to carry out the project study on verious issues. Students along with the faculty will prepare a report on the need for awareness, in a range of areas in the villages. Awareness on rights and duties among the community members will be targeted. After preparing a consolidated report, it will be submitted to the district administration as well. Also plans to conduct a study on Koraga community is considered. The reasons for drastic decline in the population of the traditional dwellers of the district will be a topic, said the VC. 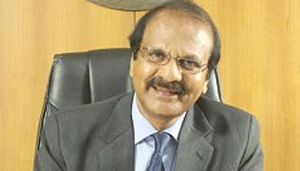 Stating that the Mangalore University will release vision 2030 document on its foundation day on September 10, the VC said that draft copy of the document will be ready by July. The document would be prepared in consultation with experts in different sectors across the country. The VC said that dissertation will be made compulsory for the students who are pursuing PG courses. The students can carry out the research in the university lab or in collaboration with the laboratories of other educational institutions in the region it is planned.